With 140 years of experience in developing products to save energy and conserve natural resources, Vaillant Group UK are a leading supplier of innovative hot water, heating and cooling solutions globally. 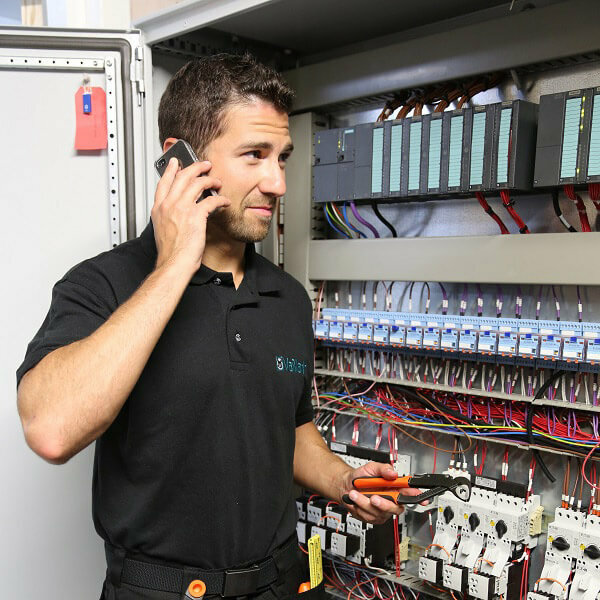 Vaillant required a fast, effective and reliable way of communication with their engineers which notified them about customer appointments and any changes to those appointments. As a company who are always looking to improve their customer service, Vaillant also needed a new way to collect customer feedback. Although this data had been requested from customers in the past, the communication channels used didn’t provide the response rates which Vaillant were looking for. What were Vaillant looking for? A provider that was flexible and reliable that would continue to develop in line with Vaillant Group’s business strategies. A way to eliminate the requirement for a Vaillant operative to make costly calls to customers, and remind them about their service engineer appointment. The new solution should provide the next level in customer service performance capture, as the response rate from sending emails and making outbound calls was too small. It was vitally important that the new communications be quick to send, easy to navigate and most crucially, work with mobile devices in mind first. What are the benefits for Vaillant? Since implementing Esendex’ SMS services, Vaillant has improved their efficiency and reduced outbound call volumes per year by 34,140 calls. Their average call time is 5 minutes, so each text message that has replaced a phone call has generated huge operational and financial savings - now that’s refreshing to hear! Vaillant have also seen a massive jump in their customer service feedback engagement. Where they previously only received a 3% reply rate, they are now getting a massive 47% response rate by using Esendex SMS Surveys. The speed at which data was delivered to Vaillant through an SMS survey also enabled them to respond much faster to any requests for additional contact. Vaillant Group UK now use the Esendex SMS service to send same day appointment reminders to their engineers and customers, sending a reminder with all the relevant details so they know exactly where to go, and when to be there. Utilising SMS, has improved operational efficiency for both the internal planning teams and the field engineers. The system also works both ways! This means that customers can cancel and re-arrange their appointments, and even arrange a callback from a Vaillant customer service agent. The Esendex workflow also allows Vaillant to send the customer an SMS satisfaction survey after an engineer has visited. By providing answers graded from 1 to 10, customers can answer questions like “Would you recommend Vaillant to your friends and family”. The answers to these questions all helped Vaillant make more intelligent business decisions and improve their customers experience. "The experience with the Esendex team was second to none, and the swiftness of implementation was fantastic." The Esendex solution was great for us as it offered multiple ways to providing the data to send an SMS survey to customers, included csv upload and API calls. The data we get back for replies is displayed in a clear format and allows us to download the results, which means we can see who has and hasn't responded to the survey.